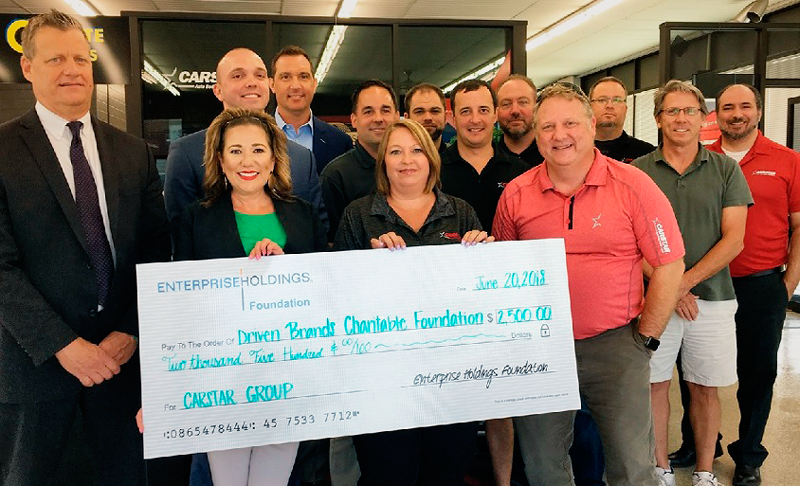 In support of their ongoing exclusive partnership with the CARSTAR St. Louis Business Group, Enterprise Rent-A-Car, through their Enterprise Holdings Foundation, donated $2,500 to CARSTAR’s charitable efforts to fund research, treatment and advocacy for cystic fibrosis. Enterprise presented the donation to the CARSTAR St. Louis Business Group and the Driven Brands Charitable Foundation. Driven Brands is the parent company of CARSTAR. Cystic fibrosis is a chronic, progressive, and frequently fatal genetic disease primarily affecting the lungs and digestive systems in children and young adults. The average life expectancy of someone living with CF is 40 years. There is no cure.